Open for scheduled sessions only. For further information please contact Skipton children’s centre on 01609 798094. Advice clinic for families with children up to 5 years. Bookable private appointments available, call 01943 874925 ex 5. Aireborough Children’s Centre, Queensway Primary School, Yeadon. Baby weigh with Health Visitor. Otley Children’s Centre, Crossgreen, Otley. What is a Breastfeeding Group? These groups are all run slightly differently; however, you can rest assured you will always be welcomed by a friendly face and refreshments! All group leaders undertake breastfeeding training so that they can offer support and signpost if you need specific help. 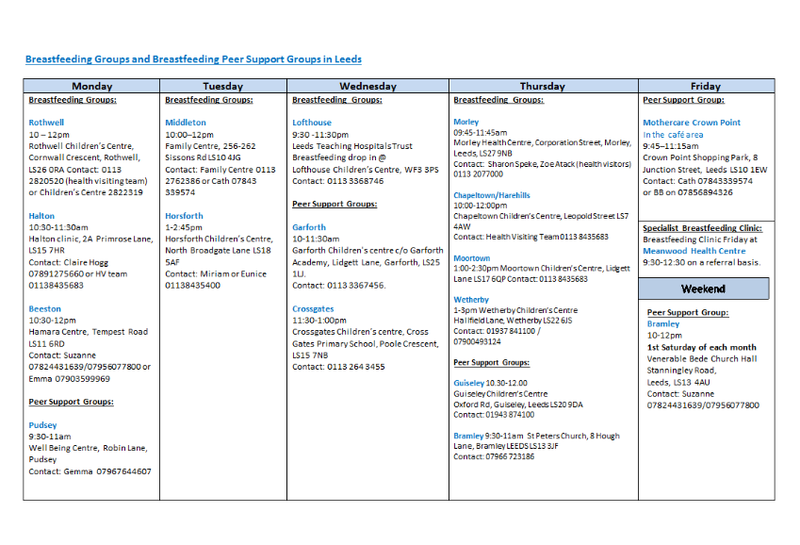 These groups are open to all breastfeeding mums. What is a Breastfeeding Peer Support Group? These groups are run by trained breastfeeding peer supporters. Peer supporters are mothers who have themselves breastfed and have undertaken a training course. They are not able to give specific advice but can offer suggestions and sign-post to the most appropriate and timely help. Any breastfeeding mum is welcome! Breastfeeding counsellors have all breastfed and had extensive training. They offer free support, information and practical help. They offer phone support and home visits. Please note last entry is 12.15pm. Health visitor drop in clinic Tuesday 2 pm – 3 pm. 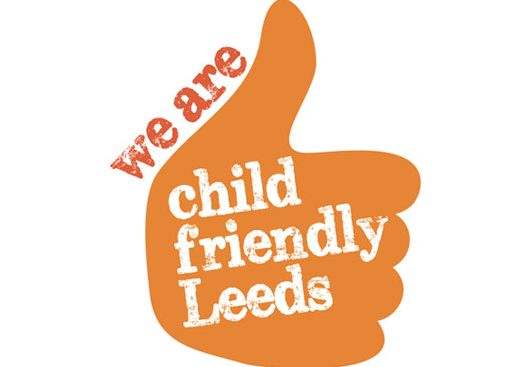 9.15-12.15 Guiseley Primary School, Oxford Road, Guiseley. An opportunity to have your child weighed, get advice from a member of the health visiting team on a range of issues, including breastfeeding. Play while you wait. An opportunity to have your child weighed, get advice from a member of the health visiting team on a range of issues, including breastfeeding. Play while you wait. 9.30 am – 11.15 am. Please note last entry is 11.15am. An opportunity to have your child weighed and get advice from a member of the health visiting team on a range of issues, including breastfeeding. An opportunity to have your child weighed, and get advice from a member of the health visiting team on a range of issues, including breastfeeding. An opportunity to have your child weighed, get advice from a member of the health visiting team on a range of issues, including breastfeeding. Play while you wait. Last entry is 11.15am. Queensway Primary School, Coppice Wood Ave, Yeadon.